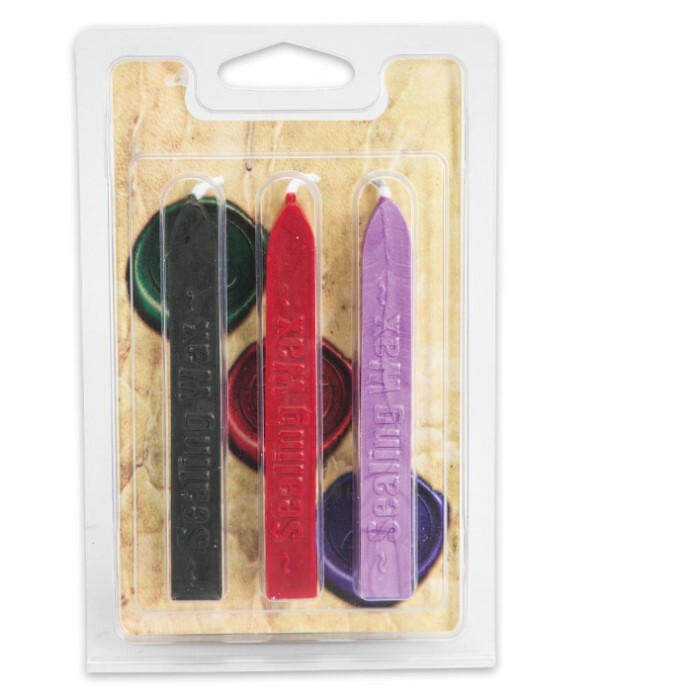 Add bold, vibrant colors to your favorite wax seal with this convenient refill set. 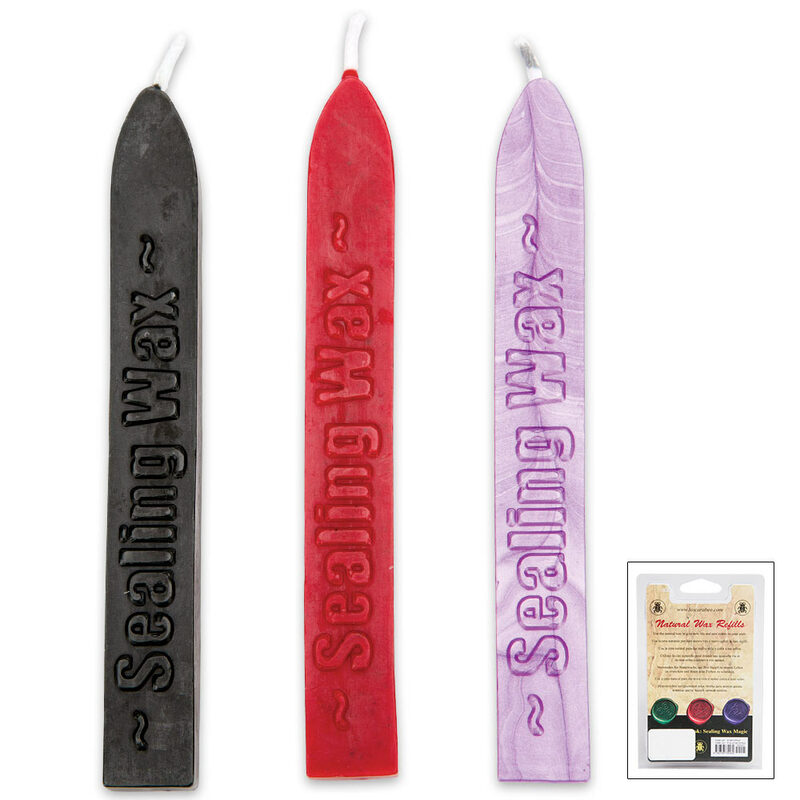 The natural wax sticks included in this three-pack can be mixed and matched with the metal seals available in our popular sealing wax kits (sold separately). 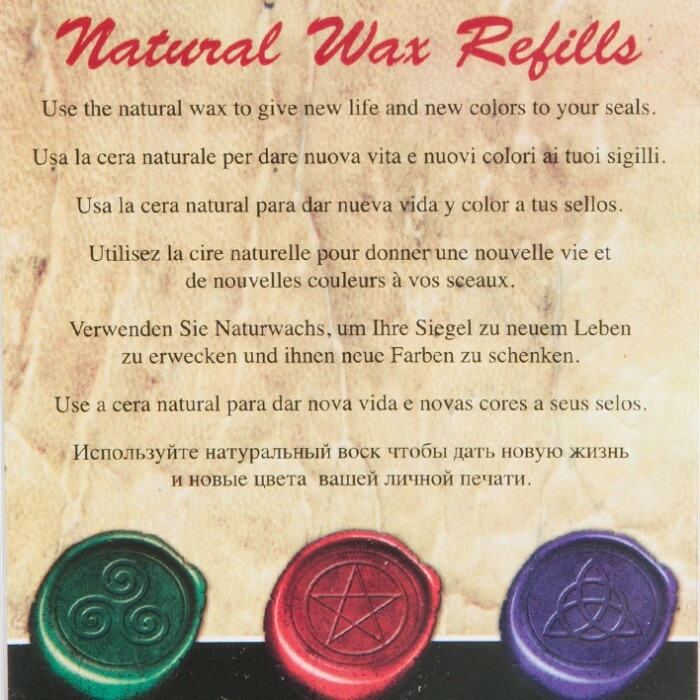 Perfect for spells, rituals, crafts and for adding a touch of elegance and class to letters, cards, invitations or any other stationary. Includes green, red and violet/purple.